The BlackBerry Q10 release date has been delayed in the US until May or June, according to reports. BlackBerry were very private at the BlackBerry 10 release events when showing the BlackBerry Q10, they didn’t allow users to touch the device. This may be one of the main reasons for the delay until March, and it may be part of the reason behind the delay in the US until May or June. Another reason, and this is probably the main one, is due to carriers in the US holding up the process. In the US it is almost mandatory for a phone to be set on a contract if it is high-end, while the BlackBerry Q10 may not be the most up to date phone, still with a mini-keyboard for BlackBerry users, it seems to have got many people excited. That is why many were upset when BlackBerry revealed the BlackBerry Q10 release date would be two months after the event, sometime in March. The other BlackBerry 10 smartphone, the BlackBerry Z10, was launched and released at the event and is doing well in the UK and Canada. Again, problems with US carriers made the BlackBerry Z10 experience delays and now the phone will come sometime in March. Thosten Heins, CEO of BlackBerry, said “Am I a bit disappointed? Yeah, I would be lying saying no. But it is what it is, and we’re working with all our carrier partners to speed it up as much as we can,” shortly after the announcement. The BlackBerry Q10 release date is still in question and the phone may arrive even later than May or June if the carriers in the US cannot agree to terms. We are seeing a lot of people want this phone, even though the full touchscreen Z10 is out in the UK and coming to the US sooner. This may be the revival of the BlackBerry. 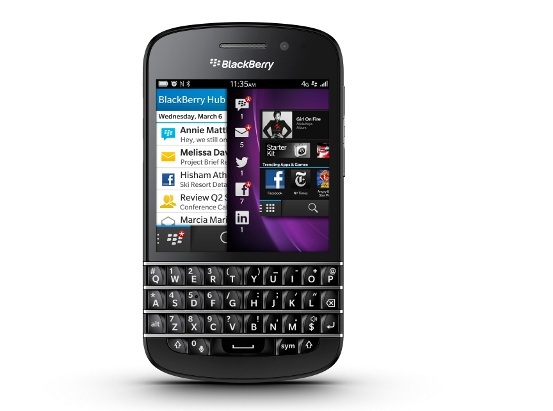 If the BlackBerry Q10 release date is so wanted in the US, maybe it shows people still want BlackBerry phones. Do you want a BlackBerry Q10 device, if so, what feature do you really love on the Q10 that isn’t on other phones? Tell us in the comments!